Isolation Transformers and Autotransformers can be indispensable in professional marine energy systems. They prevent electrolytic corrosion and above all serves as a device to guarantee a safe electric system. Toroidal wound technology for quietness and high efficiency. Soft start circuitry will ensure that the shore circuit breaker will not trip when plugged in. Transformers are not limited to use in the marine environment and can be used in an electrical system where isolation is required. An Autotransformer can be used for step up, step down and split phase output balancing purposes. Learn more now by choosing from the categories below and buy online. 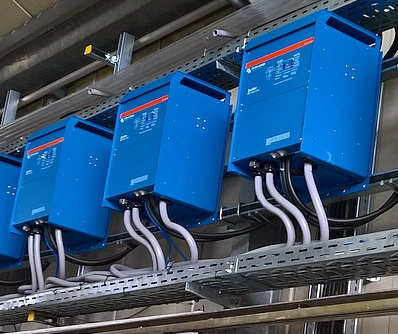 All transformer ranges come with Victron’s 5 year world wide limited warranty so you can be safe in the knowledge that you are purchasing the best equipment available.